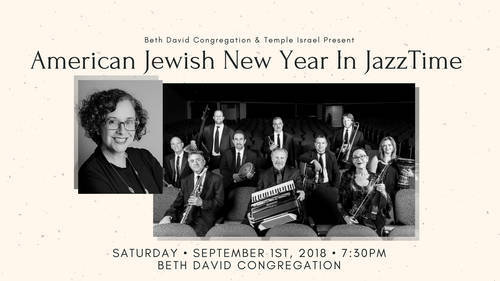 Join Aaron Kula’s critically acclaimed Klezmer Company Jazz Orchestra (KCJO) for their 22nd season in this unique holiday production featuring vocalist Rabbi Julie Jacobs from Beth David Congregation. Enjoy a rousing mix of jazzy Chazzanut melodies and congregational tunes that swing. KCJO will play familiar High Holiday tunes with a twist that evokes sounds of American blues, motown, bop, swing and inspirational solos that will touch your soul. Free Admission, RSVP required.